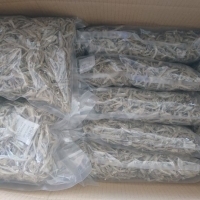 Send a buying inquiry to Vietnam Seafood Dried Anchovy, from Phulimex Co., Ltd., Viet Nam. Product Id 880349. Style: Dried, with head & headless Size: 2 3cm, 3 4cm, 4 6cm, 5 7cm, 8 -10cm Net weight: 5kgs 10kgs/ ctn Moisture : 17 20% Salt: 3 8% Shelf life: 24 months Packing: PE vacuum bag or at buyers request Quantity: 7 MTS/ 20 Feet. 16 MTS/40 Feet PRICE: USD 2.5 -2.9/ kgs Port of loading: Ho Chi Minh Port, Viet Nam Payment Term: T/T 30/70 or L/C at sight 100%. A traditional method of processing and preserving anchovies is to gut and salt them in brine, allow them to mature, and then pack them in oil or salt. This results in a characteristic strong flavor and the flesh turns deep grey. Anchovies were also eaten raw as an aphrodisiac. For domestic use, anchovy fillets are packed in oil or salt in small tins or jars, sometimes rolled around capers. Anchovy paste is also available. Fishermen also use anchovies as bait for larger fish, such as tuna and sea bas The strong taste people associate with anchovies is due to the curing process.